We all know it as Paris’ most recognizable monument. But did you know that the Eiffel Tower was originally built as the entrance arch for the World’s Fair in 1889? Or that it was once painted yellow? Or that it was originally considered an eyesore? All true. This Iron Lady wasn’t meant to be permanent. She was built as a temporary centerpiece to celebrate the centennial of the French Revolution and after 20 years, she was going to be disassembled for scrap metal. What saved her? Radio. The pragmatic designer of the tower, Alexandre-Gustave Eiffel, added a radio antenna to the top, turning it into a valuable structure for France. But it wasn’t love at first sight for the City of Love. When it was first built, many criticized its bold design, calling it a monstrous factory chimney that even those obsessed with industry (e.g., the United States) would shun. Curiously over a century later, she stands as a beloved icon of all that is Parisian. • For four decades, it was the tallest building in the world. It remained the tallest from the time of its construction in 1889 until 1930 when the Chrysler Building in New York took the title. • The tower is painted using 60 tons of paint every five years to prevent corrosion. As for the color, it’s changed hue over its lifetime and was even once yellow. Its current color is Eiffel Tower Brown, a specially mixed color that is put on in three shades, getting progressively lighter as you go up. 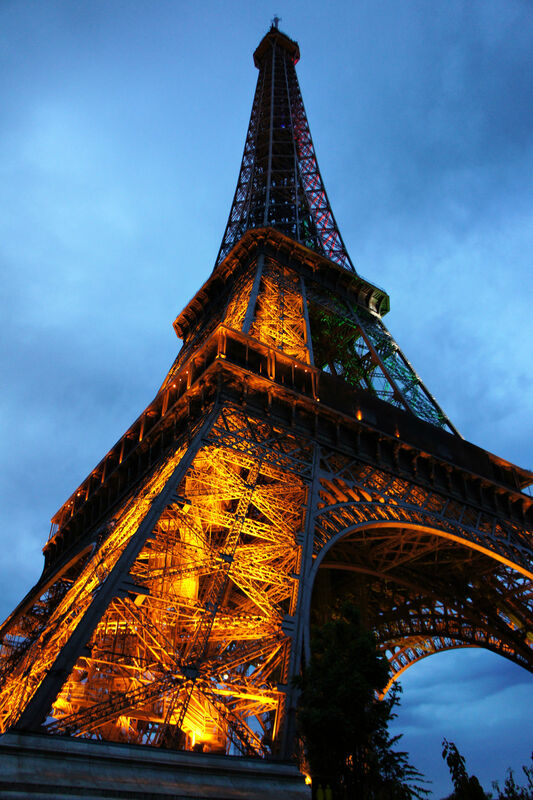 • Temperature affects the height of the tower–– it’s about 7 inches (18 cm) taller in the summer. • The Eiffel Tower or more accurately, La Tour Eiffel, also has the nickname La Dame de Fer which translates to The Iron Lady.